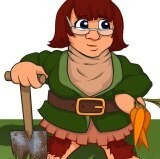 This a blog that documents the tales of an Allotmenteer, writer and teacher in Birmingham, England. As such, there is gardening, writing, adventuring and sometimes even a bit of Psychology and Mental Health. As such, the blog is melting pot of different things. It all came about ten years ago. The summer was dragging on. Something was needed to bring a little sunshine into the universe. One took a trip to the high street, purchased some seeds and pots. Chillies were sown, and the science experiment began. In the pages of the blog, there is a journey. A journey of how the allotment plot started, and my subsequent adventures and experiments. There are details and evidence of simple experiments, trial and error; there is evidence of both success and failure. What you might find in places, is frustration, anger and weariness at things not always going right. If you want romance, check out the romance novels; books that are an unexpected by-product of the blog. I don’t profess to be an expert, and most of what I record is the product of observation but no high brow analysis. I do have help, in the form of Mama F. Mama F would rather things grew so they can end up in her kitchen. When I started this blog, there were two aims. Firstly, record what I got up to. Secondly, maybe share it with others so that the mistakes I have made might be avoided, my successes my also offer people some insight and encouragement. There is no borg-like perfection on the pages of this blog; I strive to do the best job I can do. Nothing short of a jungle, that was what plot 2a on the Colebourne Road allotments looked like. That said, there were other plots with weeds on that were twice that height, and would have benefited from being attacked with a strimmer. I took what at the time felt the easier option. It took myself, Grandad Mike and Mama H the best part of a fortnight and forty eight green waste bags to clear the plot. Dad very diligently got rid of them for me! Using Dad’s measuring tape, the 88 square metres were divided up into 8 beds. Each roughly 12 metres squares. There was a rough idea of what to plant where; alas, that didn’t quite work out so much…. What you see above is from Christmas one year, when the Siberian Beast from the east made a visit. I made a visit down there with the wellingtons and a broom-to brush the snow off the top, to find it was okay. Feel free to wander around the blog and I do hope that you find it useful. You can always get in touch with me direct, and obtain the paperbacks at much better price. I’ll even wrap them up and send them to you! There is more to this blog than gardening. A rather unexpected, but really quite interesting by-product of the gardening has been writing fiction. The blog was extended by writing two non-fiction gardening books, but before long, I made the foray into writing fiction. It’s not easy being a self-published Indie Author, so this is was and is something of a diversification. This is also why you will see a variation in blog posts, the blog is an umbrella for everything that Peral and I do and would like to share. Congratulations! I’ve just nominated you for the Very Inspiring Blogger Award. You can go to my link here to accept the Award: http://gardeningingreenwood.wordpress.com/2013/11/27/the-very-inspiring-blogger-award/. Looks like you have a great blog going. I think I will follow and catch up with your posts later. Looking forward to more from you. Thanks for the follow – here’s me just along the M6 in Staffordshire. best wishes for Christmas and with the allotment. Thank you! Has taken a while, plus I have had lots of help 🙂 glad to be of encouragement! Hello H.H. Lovely I am very impressed with the transformation of your allotment from wilderness to cultivated beds 🙂 it takes some doing, and doesn’t just happen over night.. Loved all of you pictures and produce, and especially the wooden painted basket and seed box took my eye, I like to spruce things up my self too.. Did you do these items?